Trout Fishing on the River Conon system is largely restricted to a stretch of the main stem of the Conon owned by Brahan Estate and Loch Achonachie Angling Club's waters. 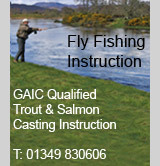 3 designated stretches of trout fishing on the North bank of the River Conon running through the estate's grounds. Permits to fish the Brahan Estate trout waters are available from the Estate Office (Tel: 01349 861150) and cost just £8 per day. Upper Conon River: Salmon and brown trout from 1st May to 30th September. Fly only, but spinning is permitted when Lochluichart power station is generating. Barbless hooks only from 1st September. The Upper Conon beat can be very productive in the spring months, particularly in May. The average size of trout is around the 1lb mark. 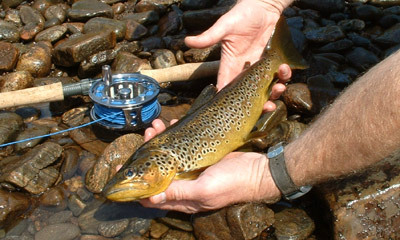 Upper Blackwater River: The Upper Blackwater opens on April 1st for trout fishing and fishes through to September 30th. The early season trout fishing can be excellent, the best brown trout in recent years being a fish of 5½ lbs caught in 2005. Loch Meig: Bank and boat fishing for brown trout from 15th March to 30th September. Bag limit 5 trout per rod or 10 per boat. Strictly fly only. Loch Achonachie: Bank and boat fishing for salmon and brown trout from 1st April to 30th September. Fly and spinning permitted. Loch Scardroy: Bank and boat fishing for brown trout (bank fishing from far bank only). Fly or spinning. John Allen, The Bungalow, Curin, Strathconon. 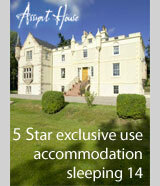 Tel: 01997 466222. No bait fishing is allowed on any of the club waters.